I'm back with another post! A couple of weeks ago, I had the pleasure of making over one of my best friends for her maternity shoot. This is actually the first baby in our friend group, so it's super exciting. Instead of a typical before and after, this one is a little different. I show you the power of airbrush body makeup. 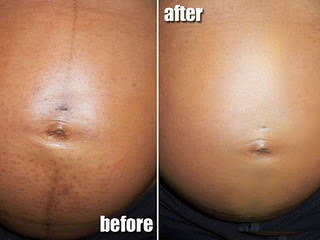 My friend actually had the request that I try to cover marks on her belly including the linea negra. 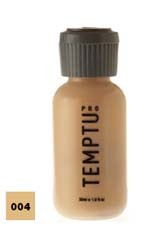 In the past I've done lots of body cover up from tattoos to scars and stretchmarks using my temptu dura airbrush makeup. This was my first time doing a pregnant belly! Some people like to keep the linea negra but if they don't want it in their pictures this is a great option. Airbrush makeup offers amazing coverage - you can layer it with seamless blending without worrying about erasing layers of coverage like you would with traditional makeup and a brush. Best yet, alcohol based airbrush makeup can last for a few days and is truly smudgeproof and will not get on clothing. This picture is completely unedited! For my bestie, I actually used a bit of orange as a corrector for the dark marks and then I custom mixed a few colors to achieve the best skin tone match. I have the final shots of her maternity shoot coming up soon! Wow, that is beautiful! Where were you when I was pregnant? Haha! I had so many needle marks from the two shots a day in my stomach I had to have (for blood thinners). Plus the dark line and belly button ring hole. Her stomach looks flawless after makeup application! Beautiful job! What a gorgeous makeover. Her pregnant belly is beautiful. Beautiful Job!, congrats on the lovely future mama! Wow you did a great job Ren. I haven't been able to attend the airbrush class but I want to. This is really nice. for air brush which one is the best? I know you have a few, and it's hard to pick which one is the best? 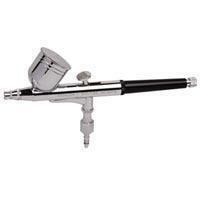 there is soo many air brush machines out there. That's pretty convenient. I have to remember to take note of this for when the wife gets pregnant.